This pure powder floatant won’t leave a residue on the water and is perfect floatant for CDC flies. 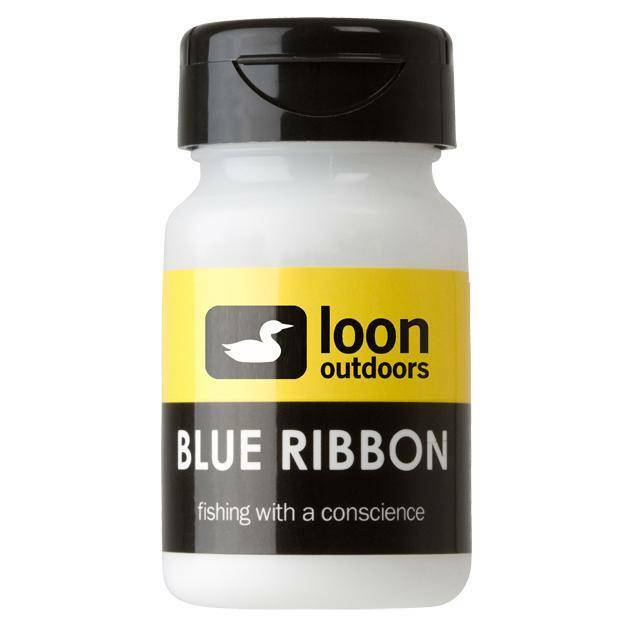 Just work Blue Ribbon into the hair and hackle of the fly with your fingers and watch it float high cast after cast. Make sure fly is dry. Open flip lid and drop fly attached to leader into container. Hold lid closed without snapping shut, and shake a few times. False cast or blow on fly to remove excess powder.